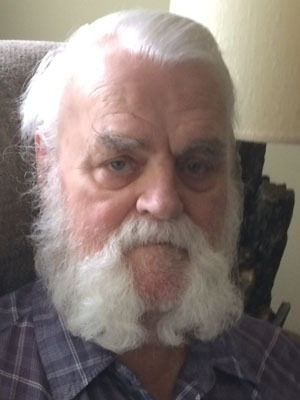 Paul Irvin Johnson, of Shakopee (formerly of Bloomington) passed away on November 26, 2018 at the age of 83. A visitation will be held on Sunday, December 2, 2018 from 4:00 – 6:00 PM. Funeral service is Monday, December 3, 2018 at 11:00 AM with visitation one-hour prior. All services are at Ballard-Sunder Funeral & Cremation (833 S. Marschall Rd) in Shakopee. Jean Breeggemann will preside, and Paul will be laid to rest at Dawn Valley Cemetery in Bloomington. Pallbearers are Jason Johnson, Alex Davis, Erik Humphrey, Mitchel Johnson, Daniel Johnson, Jacob Johnson, Terry Marolek & Steve Marsolek. Paul was born in Minneapolis on October 17, 1935 to parents, Peder & Josephine (Ferkin) Johnson. He was one of seven children, and he loved growing up in Bloomington with his siblings. After graduating from high school, Paul met the love of his life at a local dance. Yvonne was a wonderful woman, and their love quickly blossomed. They exchanged wedding vows at St. John’s Lutheran Church in Shakopee on June 26, 1954. Their marriage was blessed with seven children. In 1973, Paul & Yvonne moved their family to Shakopee. When the kids were young, they enjoyed family camping trips. They had a nine-person tent that the entire family slept in. Paul always loved the outdoors. He enjoyed hunting and fishing, and he passed his love of nature onto his children. Paul also enjoyed playing guitar and fiddle in a country western band. He & Yvonne loved to go dancing and took many wonderful trips together. Their most memorable trip was to Norway. Paul was so proud of his Norwegian heritage. On their trip, they visited many of his relatives and enjoyed all the beauty Norway had to offer. Paul frequently said, “You can always tell a Norwegian, but you can’t tell ‘em much!” In Paul’s case, this was certainly the truth. Paul worked hard to provide a good life for his family. He was a jack of all trades, and throughout his life he worked as a boiler operator, electrician and carpenter. He also dug sewer lines, drove tractor trailer and was a pipe fitter. After many years of hard work, Paul retired from Rahr as a plumber. In 1993, Yvonne passed away. Paul was heartbroken, but he was always a strong man, and he persevered. He had many wonderful friends who helped him through this difficult time. Paul also pursued his hobbies to stay busy. He took fishing trips to Mille Lacs, spent time at Raceway Park and concocted some interesting cooking recipes. Paul also spent a lot of time at auctions and always managed to find some kind of treasure. After a courageous battle with cancer, Paul passed away peacefully in his home, surrounded by his family. Paul was stoic and fiercely independent. He lived life on his terms until the very end. He will be remembered always by his children, Gwen (Rick) Humphrey, Greg (LeAnn), Glen (Barb), Gordon, Bruce (Linda), David and Donald; 25 grandchildren & spouses; 27 great-grandchildren and one great-great-grandchild; siblings, Gary Johnson, Joyce (Gary) Braaten, Janet Nolan, Mary E. Marsolek; many nieces, nephews, other loving family & friends. Paul was greeted in Heaven by his wife, Yvonne; parents, Peder & Josephine Johnson; brothers, Alvin and Marvin Johnson. Glen: On behalf of the Trust Division at Union Bank & Trust, our condolences to you and your family. ON BEHALF OF MY FAMILY I AM VERY SORRY FOR YOUR LOSS. HE WAS A GOOD MAN AND WILL BE MISSED. BUT WILL BE AT PEACE WITH MON AND DAD AND ALL WHO WENT BEFORE HIM. MAY GOD BE WITH YOU ALL AND HELP EASE THE PAIN YOU FEEL ON THIS LOSS. The obit on your father tells a story of a full and rich life. To have a gifted patriarch that led his family with so many talents, adventures and wonderful memories is a blessed one for sure. We are sorry for your family loss. I will never forget my oldest brother. He is the last of the Johnson clan as the leader. Bruce was his main caretaker and we all thank him for his patient and support. He kept us in the loop so we got to visit before he died. Glenn and Bruce your fathers life story is one that says he was a go get it done man. I know you are very proud of him and he was surely proud of you as well. May he rest with in peace with your mom and God bless. Our thoughts and prayers are with you. Amen.